This kids’ workshop is organized by Natur Organic Life, 36 children and their parents participated in the 3-month workshop at weekend. 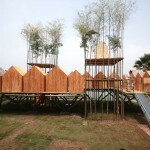 “City In Sky” is an experimental project. 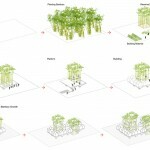 In other words, we’re trying to use such kind of project to explore the boundary of architecture, when we are 30 years old. 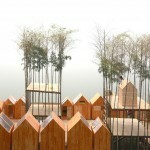 It’s dubious to define “City In Sky” as a house or building. Because I regard it as a city belongs to children; it’s also hard to tell “City In Sky” designed by a certain architect, because 39 children, the “kid-architects” demonstrated the design in their minds by sketching and modeling; I’m even not willing to see it as a complete artificiality. 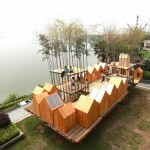 Due to the alive bamboo as part of the structure, that makes it possible to allow the floating city to grow. 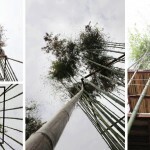 1 Materials and Structures: Can alive bamboo be part of the structure? space and make it real? 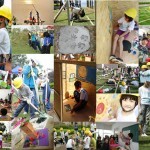 elements light enough to allow children to join on-site work? 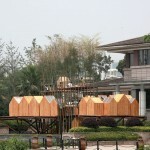 as open-air terraces and playroom for children, the bamboo houses are also part of the whole architectural landscape. 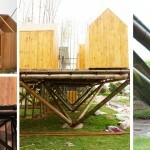 We use natural bamboo as bear loading structure of “City In Sky”. 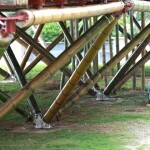 The building is separated into 8 bamboo structural units by 3m*3m standards. We create 90㎡ floorage by using only 3㎡ foundation area. 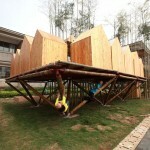 The inverted pyramid form makes the houses seem floating in the air. 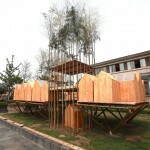 Two “planted” building can be regarded as space prototype of upward cities. Every kid could work on their own house. 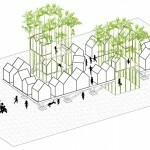 And the gathering of bamboo houses make it a urban spatial form of neighborhood. In 2012, 60% global concrete production was contributed by in China, which consumed 42% aluminum material in the world. 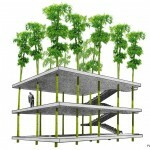 Fewer and fewer architects know how to build besides using concrete and steel structure. 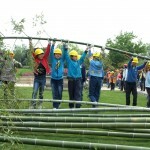 Chinese exam-oriented education makes children’s childhood occupied by extra-curricular training. 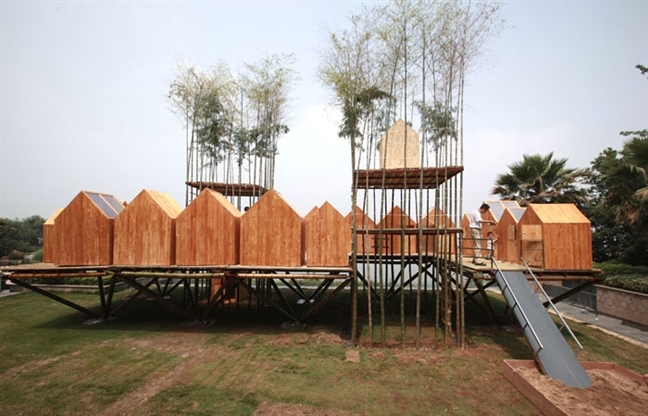 Based on the theme of architecture, by allowing children taking part to build the house blending with nature, “City In Sky” makes it more vivid to help children understand the nature, tools, building and even the real life itself. Cities and the Sky 3. Those who arrive at Thekla can see little of the city, beyond the plank fences, the sackcloth screens, the scaffoldings, the metal armatures, the wooden catwalks hanging from ropes or supported by sawhorses, the ladders, the trestles. If you ask “Why is Thekla’s construction taking such a long time?” the inhabitants continue hoisting sacks, lowering leaded strings, moving long brushes up and down, as they answer “So that it’s destruction cannot begin.” And if asked whether they fear that, once the scaffoldings are removed, the city may begin to crumble and fall to pieces, they add hastily, in a whisper, “Not only the city.” If, dissatisfied with the answers, someone puts his eye to a crack in a fence, he sees cranes pulling up other cranes, scaffoldings that embrace other scaffoldings, beams that prop up other beams. “What meaning does your construction have?” he asks. 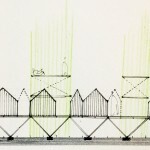 “What is the aim of a city under construction unless it is a city? Where is the plan you are following, the blueprint?” “We will show it to you as soon as the working day is over; we cannot interrupt our work now,” they answer. Work stops at sunset. Darkness falls over the building site. The sky is filled with stars. “There is the blueprint,” they say. 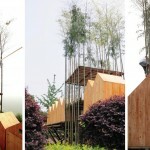 One message I texted to Chenfeng from Natur Organic Life recently: someone maintaining the house? Did you water the house? “Did you water the house? 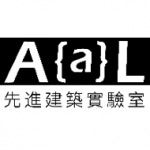 ” This might be the best way to describe the project.